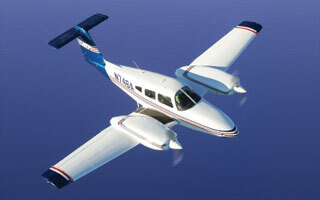 ATP today announced two new flight training centers to open near New York and Los Angeles. Camarillo, California (KCMA) – north of Los Angeles – will be ATP’s fourth training center in the SoCal area. Classes are expected to start in November, 2009. Long Island, New York (KISP) will open in early 2010 and provide convenient access to flight training for pilots from New York City, the Tri-State region, and New England. Classes are expected to start in March, 2010. Both locations will offer flight training from Private Pilot thru Instrument Rating and Airline Career Pilot Program in a fleet of Piper Seminole, Diamond DA40, and Cessna 172 aircraft. As ATP begins accepting delivery of its Diamond D-JETs, ATP expects to offer D-JET training at both locations. These new locations follow the successful launch of Charlotte, Indianapolis, San Diego, and Tampa–all opened in 2009. In 1984 ATP pioneered cost-efficient, accelerated, multi-engine flight training with an emphasis on pilot career development. Today, ATP’s Airline Training Programs prepare graduates for airline pilot and corporate pilot careers with nationwide flight experience in the largest, multi-engine training fleet. Advanced jet training transitions these pilots from light twins to modern regional jets in CRJ-200 flight training devices. With thousands of graduates who have completed airline training on time and on budget, airlines come to ATP first to meet their demand for pilots. ATP flies over 12,000 hours to provide more than 450 FAA pilot certifications each month at 26 locations nationwide.